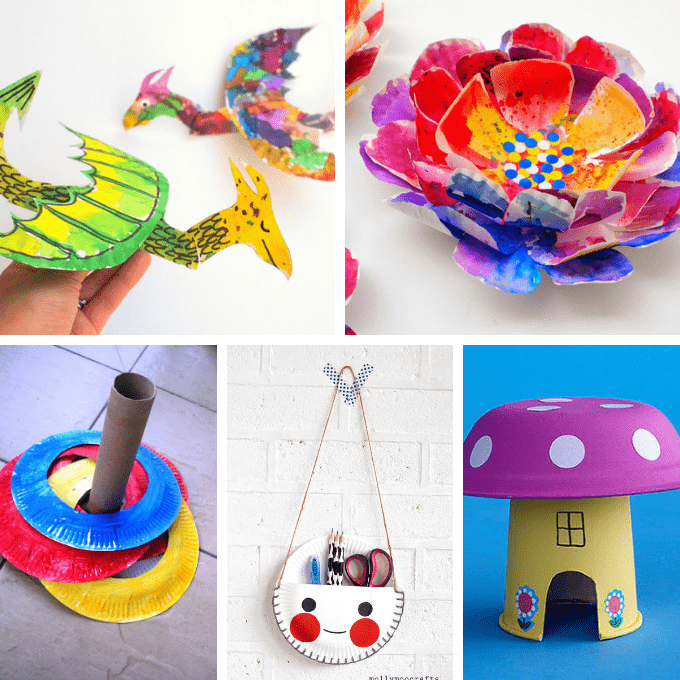 A roundup of 22 clever paper plate crafts for both kids and grown-ups. Gorgeous paper plate flowers from Muslin and Merlot. 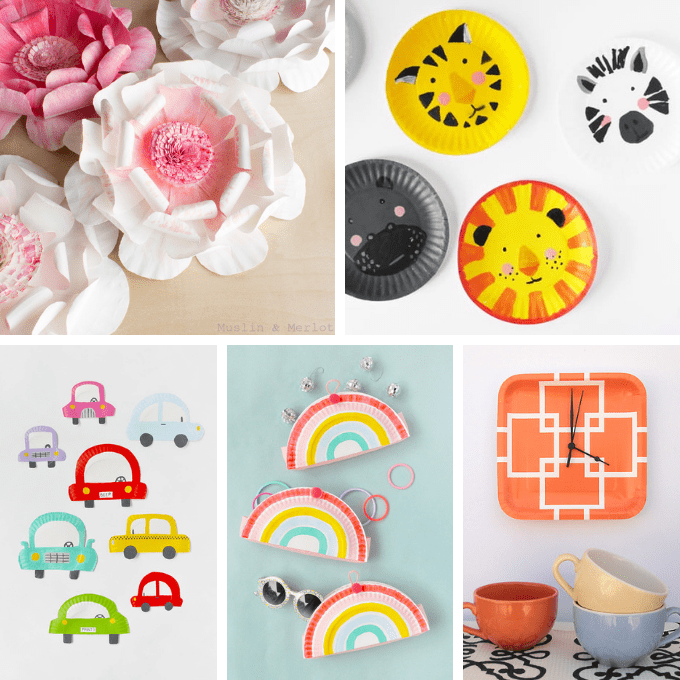 Find the how-tos for paper plate animals at Hello Wonderful. Vroom! Paper plate cars from Handmade Charlotte. Or check out these rainbow plate pockets. Very cool. Easy clock at Creative Jewish Mom. Ha! Some chickens at MollyMoo. Clever paper plate chalkboard wall at Running with a Glue Gun. Love this paper plate Bat-Man scene from Nontoy Gifts. Craft a paper plate loom at Krokotak. Amazing dragons from plates at Pink Stripey Socks. Play ring toss at A Little Learning for Two. Keep a tidy desk with this plate organizer from Mollymoo. Try a mushroom house at Parents. Paper plate dream catchers from Red Ted Art. Or make a paper plate cloud. Find a photo guide to make paper plate stands at Pysselbolaget. 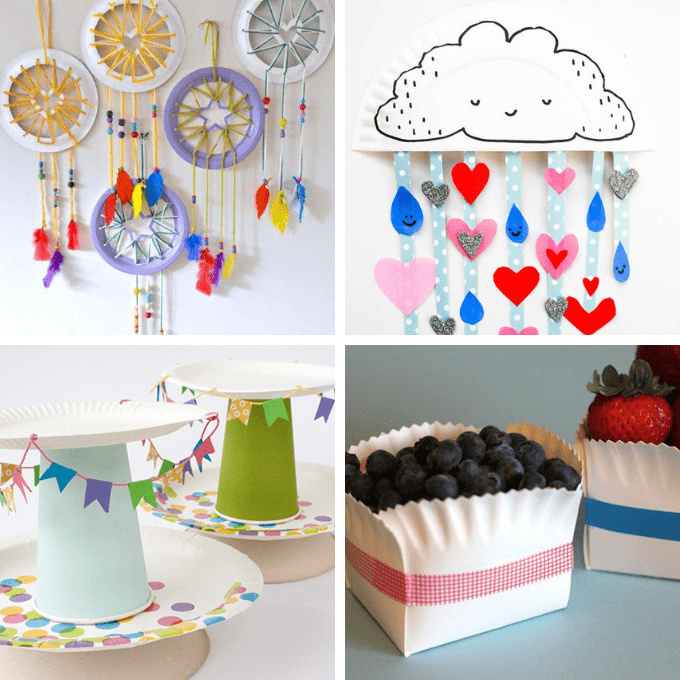 Handy dandy, budget-friendly paper plate baskets at Sarah Hearts. What’s that up in the sky? Paper plate flying saucers at Crafts by Amanda. Plates become fruit over at Crafts by Amanda. 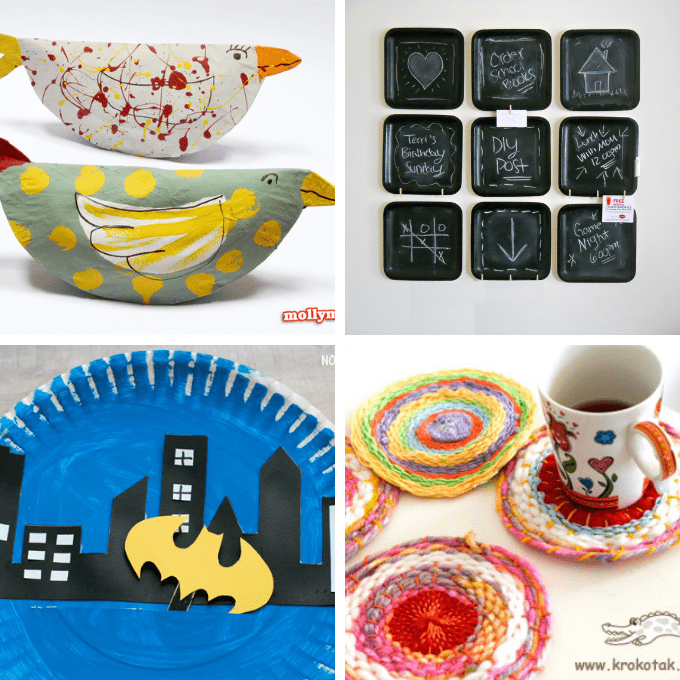 Make wall art at Scrumdilly-do!. 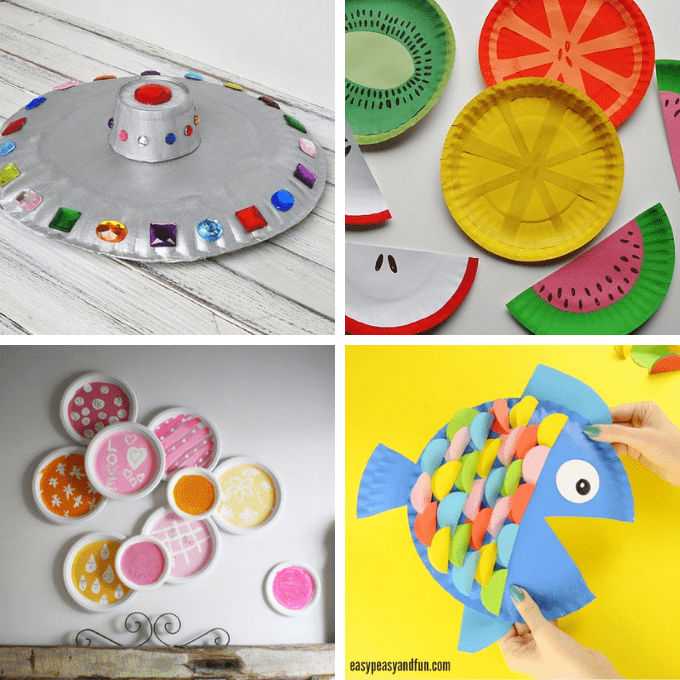 Cute paper plate fish from Easy Peasy and Fun. I’m loving this post. 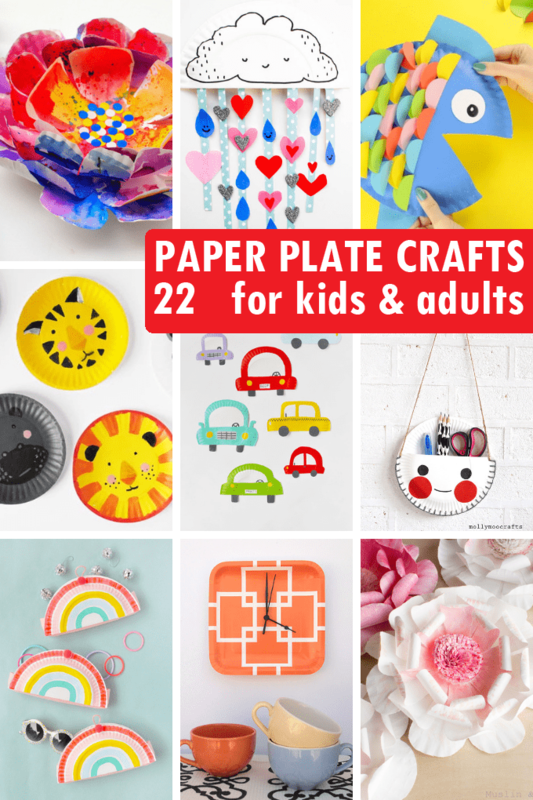 I love paper crafts and there so many cool ideas, especially with the paper plates. Little Sailboats are so cute! This is a fabulous round-up! Who knew?! I’m loving the buttons (#3)! !